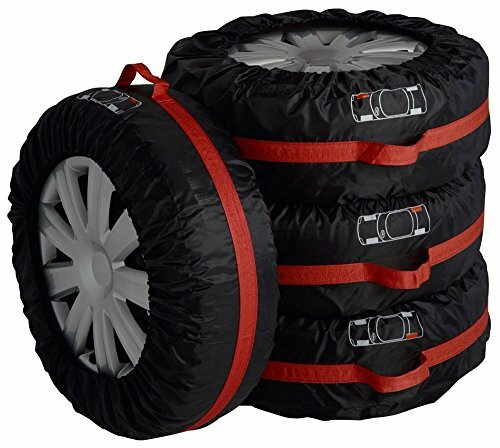 Set of 4 tyre storage bags. The perfect way to store your summer or winter wheels. Fits all wheels 16-22 Inch. Reflective print on the sides indicates which tyre goes in which bag. Also includes 4 separate covers to protect the face of your wheels.